1. Focused marketing: Gone are the days where we simply measure conversion to determine the effectiveness of a marketing initiative. Now, more companies are focused on attracting the RIGHT membership. Lifetime value and propensity to engage with the health plan on various conditions can make one consumer more desirable than another. For example, in the individual under-65 marketplace, more companies are focused on finding the young millennials who have been slow to sign up. Data analytics and targeted digital marketing (i.e., narrow scoping) can make a big difference in the type of membership a plan attracts. Successful marketing programs have a real-time closed loop process to determine the effectiveness of various campaigns and decisions are automated with regards to marketing spend. 2. Avoid seasonal ramp: With such high demands for licensed associates and enrollment staff during Q4, many organizations struggle to find and train qualified talent in a short period of time. It seems like this problem never goes away. Successful health plans find ways to keep seasonal employees throughout the year and retain these experts for the following enrollment period. We’ve measured a 10 percent improvement in conversion when a representative is able to return to the same sales initiative when compared to those starting fresh. a. Onboarding. It’s powerful to have the same licensed associate who helped a consumer find the right plan engage with that consumer to use the plan. The benefit works both ways as representatives often have a different perspective once they realize that this is a true relationship they are building with the consumer versus a onetime transaction. b. Stars improvement campaigns. Outbound initiatives to close gaps in care can drive significant ROI when star ratings or measures are moved. Medication adherence, Healthcare Effectiveness Data and Information Set (HEDIS) appointment scheduling and follow-up, and Health Risk Assessments are great activities that can engage your consumers and develop a personal relationship. c. Renewal. With benefit changes around the corner, outbound education campaigns not only help your membership to prepare for what’s to come, but also gives you a chance to identify who is at risk of churn. Dissatisfied membership can be turned around with specific retention campaigns. Whether implementing one of these ideas or simply training your sales staff to handle member service queues—keeping a licensed associate or enrollment specialist for the upcoming enrollment period will drive significant improvement in overall conversion and a better consumer experience. 3. Omnichannel engagement: The customer journey to find and enroll in a plan has become much more complicated. Online portals, apps, direct mail, and the contact center all form a consumer’s shopping experience, but rarely are these channels connected. An omnichannel experience enables consumers to hop among different channels within the context of a journey. Here are some tips to create an omnichannel experience that can improve conversion and save time for both your enrollment team and the consumer. a. Temporal 1-800 numbers. These are 800 numbers that are specific to the web session of a consumer. For example, as a consumer clicks through a website and eventually decides to call for assistance, that 1-800 number is specific to his or her web session. The call can be routed specifically, prioritized differently, and the receiving representative understands where the caller came from and what he or she is trying to do without having to say a word. b. Co-browse technology. Given that many contact center interactions start with the web, connecting that channel with the phone can make a big difference in the effort necessary for a consumer to find a plan and enroll. Co-browse technology allows a representative to connect to a consumer’s browser window and interact with the same pages as the consumer in real time, while speaking with the consumer over the phone. We know that 70 to 80 percent of contact center inquiries start with an online experience. Consumers would prefer to complete the process online, and often a call represents a defect in this process. Showing a consumer the ins and outs of the online enrollment portal can drive self-service and improve conversion (at a lower cost). Co-browse can make a big difference when educating members on their new plan as well. Enrollment season may be over, but there is plenty to do during the off-season. Companies that use this time to make improvements to their marketing program while engaging with members throughout the year will have a significant advantage over their competitors. 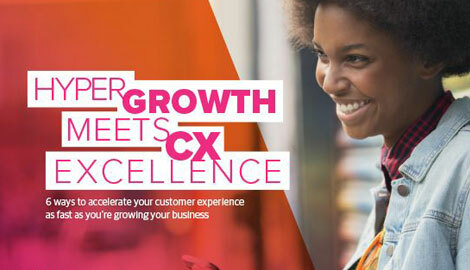 After all, just as success is a journey and not a destination, great customer experiences are a journey too—a never-ending journey. For more tips on planning for open enrollment, visit our open enrollment resource center here.